Magoosh is a newcomer in the test prep industry, compared to services like The Princeton Review and Kaplan. But older does not necessarily mean better. Magoosh has quickly become one of the more popular SAT test prep course providers. Their aim is to make test prep affordable and effective. Their online-only, flexible courses with high-quality material make them a great choice for most students. They offer friendly support and video-based instruction with one-, three-, and twelve-month plans. Each course offers a personalized, efficient way to study for the SAT. With any Magoosh SAT prep course, you get over 200 video lessons with over 1500 practice questions, as well as email support, all for only $79 for one month, $89 for three months, or $99 for a full year. You also get access to their highly rated mobile and flashcard apps. This is one of the lowest priced options available. 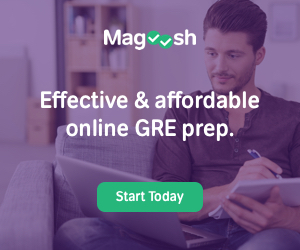 If you are a student that also wants to take the ACT or needs to take the TOEFL, Magoosh offers a discount to their already inexpensive courses if you sign up for additional courses. There is also a seven-day free trial if you want to take a test run before committing to a Magoosh SAT prep course. Magoosh’s SAT prep courses are entirely online. Many test prep providers started with in-classroom and book-based test prep, and then added an online option later. Not Magoosh. When the founders started Magoosh, they built the platform with an online experience in mind. 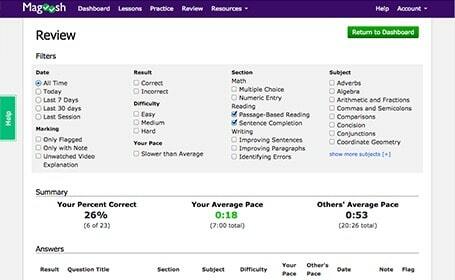 They prioritized user-experience and flexibility, and in doing so, created a test prep course that is simple to use and allows students to get right to studying, the moment they login. They made it possible to study anytime, anywhere. Magoosh also has some of the highest-rated apps available for SAT prep. When the Magoosh founders designed the SAT prep course, they had the user in mind. One of the issues that they saw with the existing test prep courses was the cookie-cutter course offerings. They decided that they wanted their courses to be much more personalized, making it easier for students to study what they need at their own level. Their goal was for you to be able to efficiently use your test-prep time without wasting it on topics you already understand or questions that are overly challenging for your current level. Immediately upon logging in, you’ll notice your dashboard. 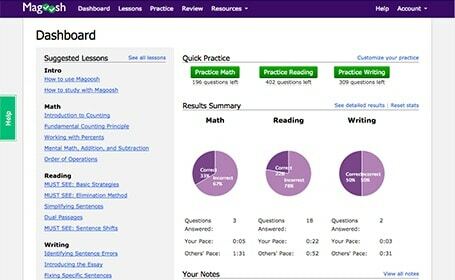 Your dashboard shows suggested lessons, your progress, and how you are doing compared to other students. From here, it is easy to navigate the rest of the system. There is also a detailed performance analysis that allows you to see a summary of your past answers, and filter by subject, question type, and difficulty. You can use this to determine what to study next, rather than wasting time figuring out what subjects to work on. Once you have answered a question or reviewed a lesson, you can take notes for reviewing later. Each course comes with a personalized study plan. It recommends study materials and tasks to keep you on track. It also tracks your progress as you complete lessons and levels you up when you need it during practice quizzes. The ability to study exactly what you need at the difficulty level you need it is one of the best features of the Magoosh SAT prep courses. You are able to learn the subjects that you need to, without wasting precious time on topics you already know. The Magoosh SAT prep courses were designed with this type of efficiency in mind. For each practice question or quiz problem, Magoosh provides a text explanation and a more detailed video explanation. If that still isn’t enough, Magoosh offers additional email support. You are able to reach out to a Magoosh SAT tutor regarding your questions and will receive an answer in about 24 hours. When you enroll in a Magoosh SAT pre-course, you have unlimited access to over 200 video lessons, 1500 practice questions, and up to three full-length practice tests for the term of your enrollment. 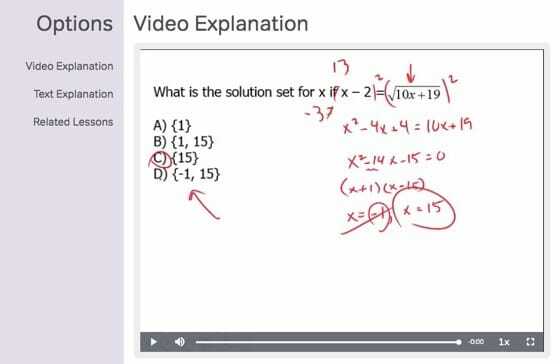 Each practice problem comes with a video and text explanation, a transcript of the video, and additional resources related to the topic. The quizzes can be hyper-focused to the topic and level you need so you are easily able to master one topic at a time or work on an entire subject area. They also offer you personalized study schedules and email assistance from their tutors. Each video lesson is designed to help you improve your performance quickly and effectively. Their materials and study plans are based on the performance and feedback of thousands of students before you and are designed to ensure that you get the most out of your time studying. If you are someone who learns better by watching videos than by reading, a Magoosh SAT course could be a great option for you. Magoosh SAT prep courses are primarily taught using video, with over 1500 explanation videos and 200 lesson videos. There is a video lesson for every topic from simple math to more advanced reading and writing. Every practice question also has a video explanation, one of my favorite parts of the Magoosh SAT prep course. They usually go further than the text-only explanation, discuss the why behind the problem and offer alternative solutions. The videos discuss concepts and shortcuts related to the topic as well. 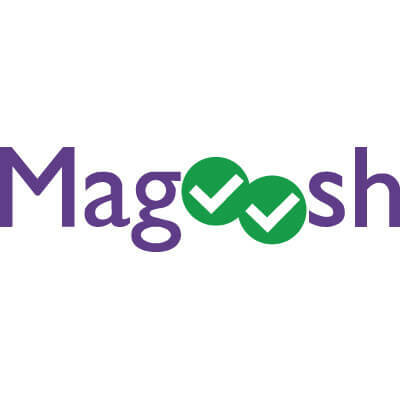 With each course, including the one-month course, Magoosh offers a 100-point score guarantee, one of the more impressive guarantees in the industry. If your score does not improve after completing one of their courses, you may be eligible for a full refund. Even if the Magoosh SAT prep course isn’t for you, you should take a look at their website. They offer quite a few valuable but free resources to help any high school student with their college preparation. Their blog includes SAT tips and tricks, and a few free lessons. They also offer information on college admissions packages, studying abroad, and school-specific tips. From their website, you can get assistance in setting up an SAT study schedule. There is also a question of the day and video explanation, which gives you a taste for the format of their video explanations. If you like the style of the question of the day’s explanation, you will like the way the Magoosh SAT prep course is set up. They also offer a free copy of the Magoosh SAT flashcard app. If you are reading this, I highly recommend taking a look at the Magoosh SAT resource page to take advantage of all of this and more. If you are a student that needs a classroom, either online or in person, a Magoosh SAT course is not for you. They do not offer any type of guided course, online or in person. They also don’t offer any in person or online tutoring either. All of the courses are self-paced, which is great for flexibility but could be detrimental if you need the accountability that comes with a more structured course. 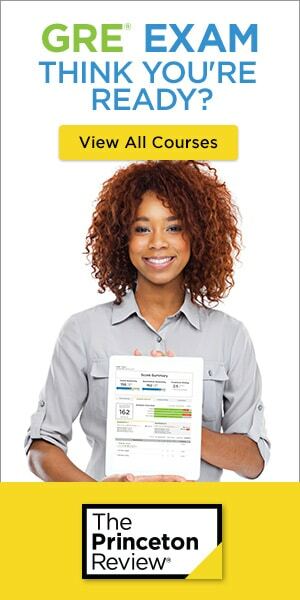 If you are looking for a course with an in-classroom or live-online option, take a look at The Princeton Review’s SAT offering. You can also check out our chart comparing different SAT prep courses. One of the downsides of not having an actual instructor or tutor for your SAT prep course is that you do not get essay grading. They will offer you assistance and tips in writing your essay, but do not have a way for you to submit your essay for a score or feedback. Each Magoosh SAT prep course comes with up to three practice tests. This is because their practice tests are based on the pool of unused quiz problems. There are no exclusive problems set aside to make up individual practice tests. The entire course has about 1500 quiz problems, and if you answer all of them, there will be none left to make up a practice test. While getting through all 1,500 questions is unlikely for most students, it is not uncommon to exhaust a certain topics’ questions if it is an area that you need a lot of practice on. If you are an independent, self-motivated studier that needs flexibility built into your SAT prep, Magoosh SAT prep courses are high-quality, affordable options that could work well for you. The video-heavy courses are entirely self-paced, which is perfect for the over-scheduled high schooler. The Magoosh SAT prep course is one of the most economical courses on the market. If cost is important, Magoosh is definitely worth taking a look at, even if just for the seven-day trial. If it doesn’t sound like a Magoosh SAT prep course will work for you, take a look at our chart for other SAT test prep providers that might be a better fit. TAKE ME TO MAGOOSH SAT!